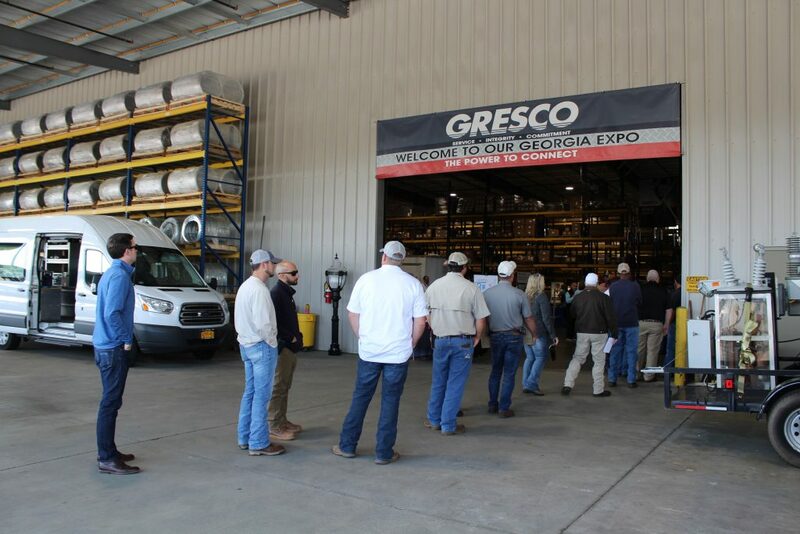 Gresco’s 18th Annual Expo: An Occasion to Remember « Gresco Utility Supply Inc.
Gresco’s Expo is an annual event where hundreds of customers, vendors, and employees have the opportunity to discuss the latest products and innovations in their respective industries. It’s also a convenient way for customers to network with other professionals in the industry. The 18th Annual Expo took place on Friday, March 29, in the Gresco Georgia Warehouse. It was, by far, the largest of Gresco’s Expos, with more than 600 attendees and 114 booths. What an amazing turnout! Each of Gresco’s markets were well represented with a variety of vendors, several of which traveled from out-of-state to participate in the event. 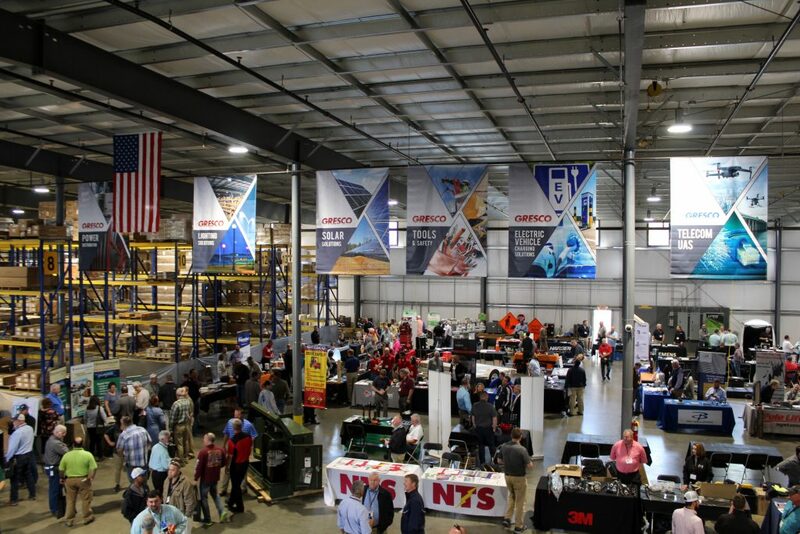 To showcase our industries, we displayed six newly-designed hanging banners in the warehouse representing these markets: Power Distribution, Lighting, Solar, Tools & Safety, Electric Vehicle Charging, and, finally, Telecom and UAS. At the 2018 Expo, Gresco was just beginning to break ground on our warehouse expansion project. This year, guests were able to see our progress with their own eyes: the longer rows, closer shelves, and a significant improvement in lighting. We were eager to show the radical difference these developments have made for our warehouse staff. 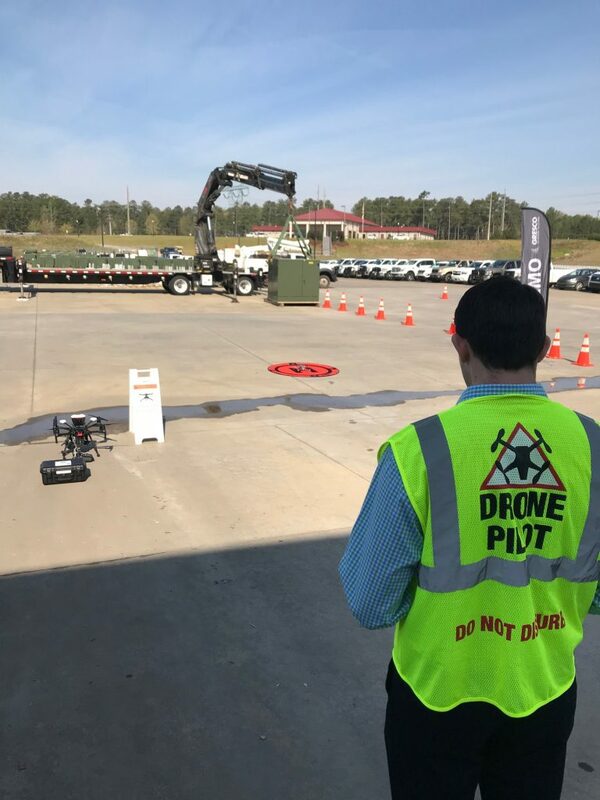 Gresco Technology Solutions’ UAS team showcased a few of their drones in a demo, which took place at 10:30am near the warehouse loading dock. A crowd gathered outside to take photos, ask questions, and learn more about drone technology and how it can be used in their operations. Shortly before noon, everyone gathered for a barbeque lunch, catered by Jim N’ Nicks, and fellowshipped with one another about past Expos and upcoming events. After lunch, we began the raffle drawing from vendors and customers listened with hopeful anticipation for their name to be called. Grand prizes included a Big Green Egg (a type of a ceramic charcoal barbecue cooker) and a Beretta shotgun. This year, we added an early-bird giveaway—a 55-inch flat-screen TV—for customers who arrived before 10am. 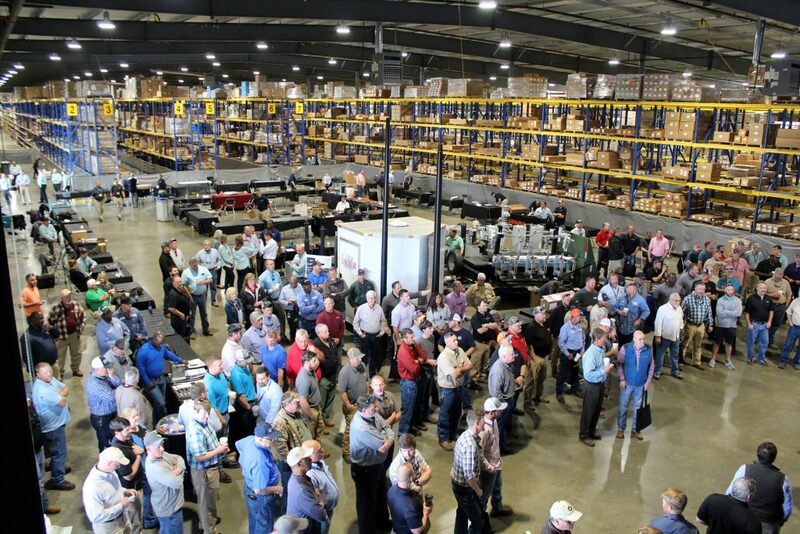 A special thanks goes out to our 250 customers who arrived early. Congratulations to all! At Gresco, we strive for service, integrity, and commitment, not only at our Expo, but in our daily operations, as well. Each year, Gresco’s Expo exceeds and surpasses our expectations with the support of our vendors and the participation of our customers. None of this would be possible without each of you! As always, we look forward to seeing you and serving you soon. Until next year! By the way, Gresco’s 15th Annual Florida Fall Fest preparations have already begun! Mark your calendars to attend the event on Friday, October 18. Check back on our website for more details.